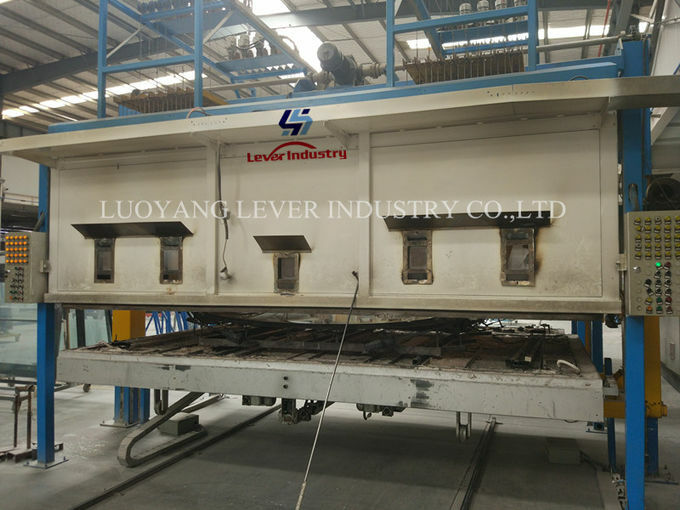 LV-STB-2130 Single Chamber Thermal Bending Furnace is a special plant used to produce the laminated windshield for the bus. It is the first processing machine in the whole windshield production line. 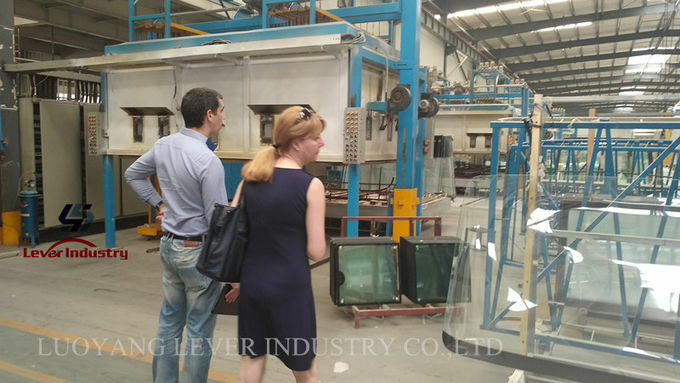 The glass produced by this machine is the thermal bent glass. 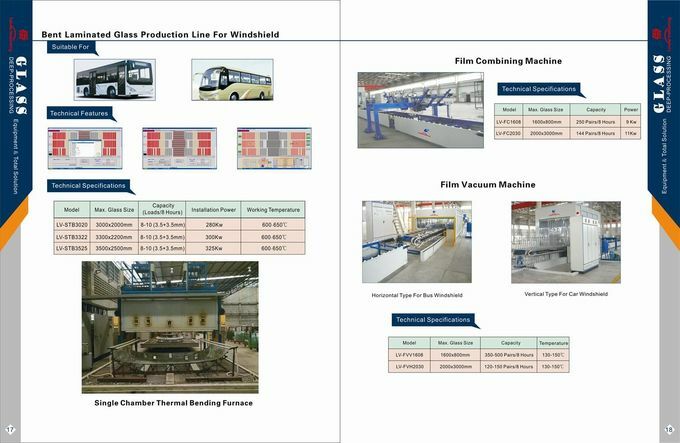 Single Chamber thermal bending furnaceis the most important equipment to produce big windshield for bus, which is characterized by fine manufacture process, reasonable design, advanced control technology and reliable operation. The whole process is controlled and monitored by computer. 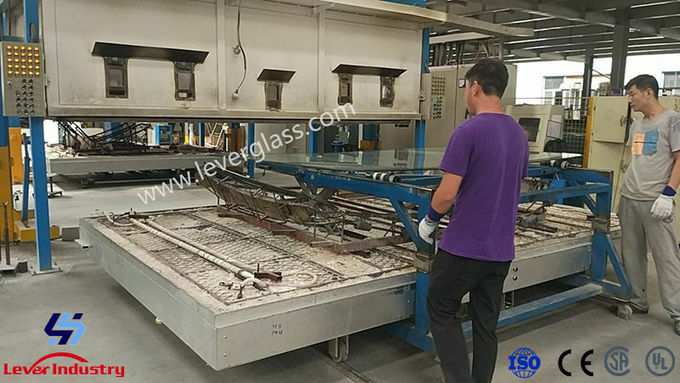 The monitoring system which object the glass status in forming area can ensure low labor intensive and good working environment. Different type of glass can be loaded in different waggon. Computer control system identifies waggons automatically and bends glass according to pre-setup. Each heating unit in the forming zone can be controlled individually, which ensure flexible heating. The forming process can be interfered manually. Powerful software package, comfortable man-machine interface, complete self-check system insure stable and reliable running. And the parameters can be changed on-line. 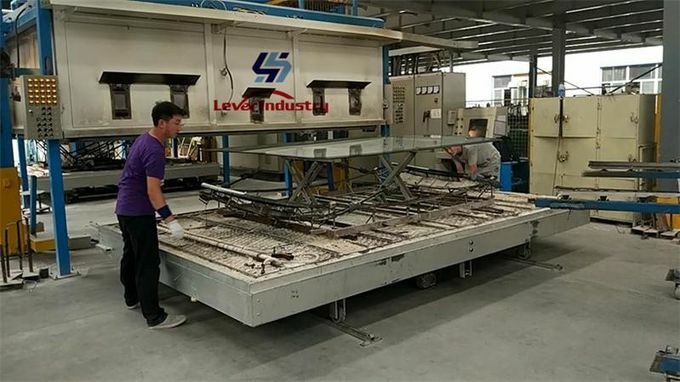 The annealing section guarantees the performance of the products, the exhaust device of the cooling layer can accelerate the cooling speed and improve the efficiency. Conveyors are equipped with proximity switch, which ensures accurately and reliably running. The waggon is of tank structure can insure lower heating consumption. The observe windows are Quartz glass, which resist higher temperature and damage. It is easy to make moulds with the lower cost.